Event #42 Champion Dean Hamrick! After fifteen hours of poker and twenty-four eliminations we have finally come to a conclusion in Event #42: $1,500 No-Limit Hold'em with Dean Hamrick being crowned champion! 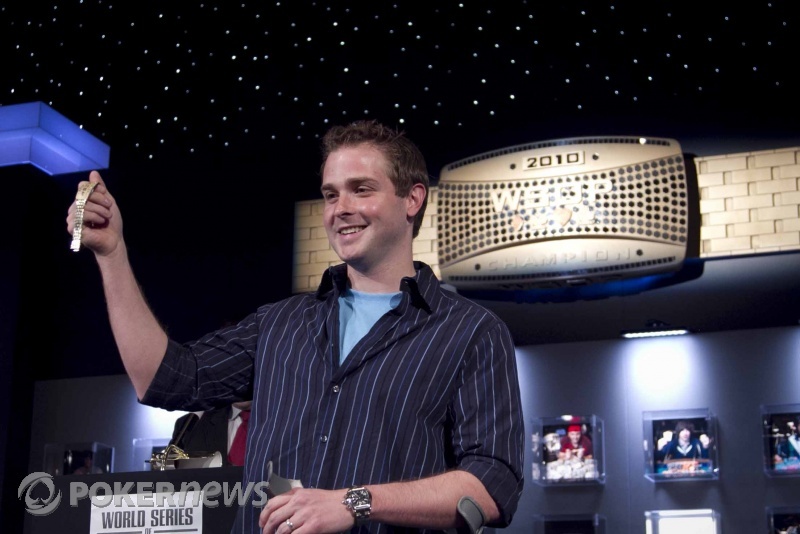 2,521 players sat down just a few days ago for yet another exciting no-limit hold'em event of the 2010 World Series of Poker, but of course, only one can stand above them all. Many players came and went including Fatima De Melo (213th), Maciek Gracz (206th), Steve Gross (142nd), Jeff Madsen (139th), Nam Le (114th), Arnaud Mattern (53rd), Matt Marafioti (29th) and Kevin Schaffel (26th) all falling shy of a day three berth. 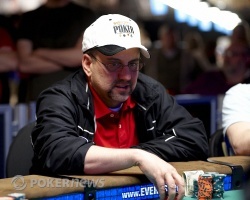 Returning yesterday afternoon, twenty-five players sat down to battle down to just one, but unfortunately Mike Sowers (25th), Bernard Lee (21st) and Humberto Brenes (16th) all were unable to add a final table to their poker resume. Action was hot and heavy as the final table began just over eight hours ago as we lost four players in the first ninety minutes as Dean Hamrick and Niccolo Caramatti traded the chip lead several times until the Italian hit the rail thanks to the rivered Broadway straight of Hamrick. Once Ian Wiley exited in third place, Hamrick took a slight lead into heads up play, but that lead was swapped numerous times with fellow opponent Thomas O'Neal as both battled away at each other for nearly three hours until Hamrick would close the deal with a dominated ace after all the money went in preflop. For Hamrick this victory is well worth the wait after unluckily bubbling the November Nine in 2008 only to return last year and make a deep run in a no-limit hold'em event only to finish fifth. Not only is his first bracelet deserving, but also justification of his skill that nearly took him to the Main Event final table in 2008 after nearly all of the nine players that finished ahead of him have gone onto greater success. Throw in the fact that deep into the money, Hamrick was left with just over a small blind, but still managed to remain patient, find some timely luck and use his experience, composure and dedication to build a stack that has propelled him to the position that he is currently in. 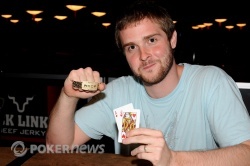 PokerNews would like to congratulate Dean Hamrick on claiming his maiden gold WSOP bracelet along with the $604,222 first prize and finally the recognition of being a true poker player and Event #42 champion! Thomas O'Neal Eliminated in 2nd Place ($375,627); Dean Hamrick Wins! Just when we were getting settled in for the long haul, so much action occurred that we almost missed it. Dean Hamrick limped on the button and Thomas O'Neal made it 700,000. Hamrick moved all in and O'Neal snap called putting his tournament on the line. Hamrick's rail woke up, jumped to their feet, and leaned toward the table. The cards were on their backs and Hamrick was ahead with . O'Neal showed . The flop came down pairing each player's ace. O'Neal would need a nine to stay alive. The turn brought no help to O'Neal. Hamrick's railbirds held their breath, hoping that the cruel river wouldn't once again defeat their friend, as it had a few times before at this final table. It was a cruel river, but not for Hamrick. The fell, eliminating O'Neal from the tournament. It was limped to the flop of . Then it was checked. The turn was checked. As was the river. Hamrick won the pot with . Dean Hamrick has begun getting more aggressive. Over the past two hands he has moved all in after firstly a limp and then from the button. Hamrick now sits on 7,545,000 as Thomas O'Neal slips to 3,800,000 in chips. Thomas O'Neal limped and Dean Hamrick checked his option. The flop came down and both players checked. They checked the turn as well. On the fell on the river, O'Neal checked and Hamrick bet 200,000. With a flick of a chip, O'Neal's cards went toward the muck. Thomas O'Neal limped in and Dean Hamrick moved all in. Well that's the most action we've seen at this table in quite a bit. O'Neal folded and Hamrick took the pot. Thomas O'Neal limped from the button and Dean Hamrick checked his option. The flop came down . Hamrick bet 200,000 and that was enough to get O'Neal to fold.